Customer acquisition is time-consuming and expensive, so it makes sense to treat prospects and customers as valued people when they’re looking for your brand on social media. As a person who has a great deal of understanding about the time, effort, and costs of new prospects earned through marketing, I am acutely aware of the high cost of converting leads to customers and the difficulty in regaining the buying confidence of users burned by your brand. As a leader of marketing and communications teams, I’ve learned the art and science of identifying helpful ways for measuring the actual cost per prospect (CPA), a marketing qualified lead (MQL), a sales qualified lead (SQL), and the conversion from lead to a customer. It pains me, therefore, when a customer is lost because of a poorly organized and managed customer support process. It is through this lens that I see the careless loss of clients as an avoidable mistake. In the audiovisual (AV) industry, these costs can be quite high given that most of the commercial sales are for large-ticket systems. In today’s digital, always-on online world, buyers are doing more to educate themselves about your product, sure, but even more so about your brand reputation and your customer experience vis-a-via customer service. Moreover, they’re looking to social media and online reviews (social proof) to not only check you out but also to connect with you both before and after they buy. The following true story is a case study in what not to do with customers as a brand and how to learn from this company’s mistakes to avoid their errors. Recently, a startup company launched a terrific new video product. Upon receiving the product and trying it out for the first time, I was dismayed that the product failed to function correctly. After reading (and re-reading) the included instruction manual, I was unable to recalibrate the device and the problem persisted. Now in the digital age, I took to Google and YouTube to see if other owners of this new product had experienced the same issue and had found a way to correct the malfunction. To my dismay, the same issue was deemed a manufacturing defect by more than a few users who had promptly asked for a refund. In my case, I felt like perhaps I’d been shipped a defective product and could fill out an RMA (return materials authorization) to begin the process of sending back my defective unit for a swap with a brand new unit. My negative experience with the brand should have ended at this point, but it turns out that the company was quite interested in new product sales but put zero effort into their customer service by their complete lack of an RMA process. The story shouldn’t get worse, but sadly it does, and this is why I’m using this personal example as a learning opportunity for even established brands to rethink the customer experience in the digital age of social media and marketing automation. It’s one thing to have a failure with a new product; it’s quite another to have the failure turn out to be a brand that does not understand the power of social media, nor their responsibility for managing the customer post-sale in the real-time world that is modern technology sales. Not only was the product failure and resulting lack of a clear process for an RMA entirely missing, but the company then ignored my repeated requests for help with their brand new (defective) product. In the end, I reported the company to the Better Business Bureau here in the United States and spent time posting my review and experience listing the company by name on over a dozen online forums, platforms and social media channels. I went out of my way to try and build an online warning about doing business with this brand because I was treated so poorly that I didn’t want another person to go through the same circumstances. There was a time when a brand could absorb the backlash of unsatisfied customers due to their overall largesse and continued sales successes. The few unhappy customers didn’t have any impact on future sales because their sphere of influence was too small to make even a tiny difference. Enter social media, where the power of the consumer’s voice has far-reaching implications for brands of all sizes, and the chance of a particularly bad experience ‘going viral’ and catching the attention of millions of potential customers. 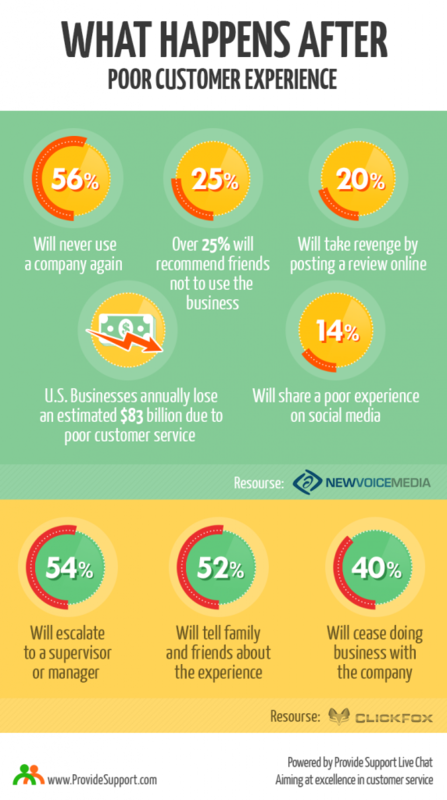 The cost is now too high to ignore unsatisfied customers. Bad news will spread in unprecedented ways and could even impact those currently close to making a buying decision from your brand so that they choose another option to avoid repeating another person’s negative experience. The power of positive brand interactions is also worth noting, as it underscores the power is in the hands of the buyer. From a marketing and sales standpoint, brands must learn to make social media a high priority when managing their brand reputation. Below is the letter I ended up sending to the company leadership (I researched and found their names and email addresses). I also posted snippets of this to online reviews and sent a copy of this to the Better Business Bureau to post about this brand. Congratulations! Your business is on fire. Your pre-sales were on fire, and your sales will likely be, too. The good news is that you’re shipping lots of products after dealing with severe delays learned through the manufacturing process as documented on your blog. The bad news is that your business is on fire. Left as an uncontrolled wildfire, it will burn to the ground. Stoking the flames of growth is essential, but an inferno of ignored customer support issues will lead to a complete conflagration in spite of your early successes. I waited over 30 days for a response from your support team about what is likely a failing unit or merely a product defect. 30+ days later, one of your staff finally responded to my latest desperate email, and he alerted your firm to my untouched support ticket and unanswered support emails. This employee then asked for your ‘support team’ to help me out. A week passed from his intervention, fully a month after the initial support ticket was submitted. Three additional support tickets were opened by me every 30 days since (four open, unanswered tickets in 120 days if you’re counting at home). I am, if nothing else, persistent and diligent about trying to get your attention to acknowledge my request for support and to help me solve the issue or replace the defective unit. I am still waiting. Perhaps my little issue is one fire you can’t put out. However, maybe it’s that there isn’t a focus on battling fires now so that you can focus on healthy, sustainable growth later. Sure, I’m just one customer; but I’m one of your earliest customers of the pre-order – the kind of customer that companies love because early adopters are usually the best at becoming Promoters (Net Promoter Score anyone? CSAT anyone?). I’ve gone from optimistic to hopeful to desperate, not because of the product issue I’m experiencing, but because I’ve been ignored. On purpose or inadvertently, the result is your company carelessly losing a former Promoter of your new business. At this point, I merely need someone to reach out to me and do more than point to online help files or user-uploaded YouTube videos to solve my problem (because I’ve already done those things). If that means helping me with an undocumented trick or if it means starting an RMA and getting me a new replacement product, I honestly don’t care at this point – which is sad. Will you ignore this email, too? Will this be the beginning of the end of a very promising upstart? Your answer – or lack thereof – will answer my question either way. My story above actually happened. To date, I have never — not once — even been acknowledged by someone from their team since that first employee responded to me on Facebook. Posting to all of their listed social media accounts, using the support email address, and even finding the email addresses of their senior leaders has yielded not even an automated response. Nothing. Nada. Zilch. It may be that this company will go on and do just fine without ever touching my request for help. But it is just as likely that I’m not the only person to actively warn others about this brand (Confirmed: I’m not alone in being ignored by this brand. ), and that will catch up and end up costing this brand far more than either a replacement or a refund. The lesson here is simple: Brands cannot avoid social media. In fact, there is an imperative to embrace it. And brands which want to grow will never, ever ignore a client.